The Small Claims Court / County Court (through the Small Claims Track and Fast Track) enables individuals and businesses to pursue non-payment of sums up to £50,000 without the need for a solicitor. Have I fulfilled my pre-court obligations? Courts are looking for evidence that you have attempted to settle prior to issuing proceedings. Your actions before making your claim are covered by pre-action protocol. This requires you to make contact with the potential defendant to attempt to reach agreement prior to issuing proceedings and to give them the facts of your case with the evidence on which you intend to rely. The Pre-Action Protocol (PAP) and Civil Procedure Rules (CPR), together set the standards and timetables for the conduct of debt cases before proceedings are started. Our pre-action® ADR® service ensures pre-action compliance and fulfils your pre-court obligations, prior to commencing County Court proceedings and continues all the way through the court process to post judgment enforcement. To issue a money claim in the County Court you need to complete an N1 claim form (guidance notes N1C form). You will need to produce 3 copies of the claim form for the court (for your file / for court / for defendant) and additional ones for each additional defendant. The court fee is recoverable on a successful conclusion. As of 19th March 2012 your local court is no longer able to accept your claim form, instead you need to post it to the County Court Money Claims Centre (CCMCC). Monies should be made payable to "HM Courts & Tribunals Service"
Once it has been received your claim will be given a claim number and served by the court to the defendant. You should wherever possible provide key documents that support your case such as invoices and anything signed by the defendant. Ideally this should be in form of a "joint evidence pack" giving both parties positions demonstrating co-operation and an attempt to reach agreement prior to issuing proceedings to the court. What will the court do once it has received my claim? The Court will send you Form N205A, the "Notice of Issue" giving you the claim number, date of issue and the date of service. What happens next after I have sent my claim to court? If the defendant does not respond to fixed sum claim you should ask the Court for Default Judgment. If the defendant does not reply to an unspecified money claim, you can ask the court to make the defendant liable for your claim. The court then decides how much the defendant should pay and you ask the Court to "enter judgment for an amount to be decided by the court". If the claim is defended a court officer will provisionally decide the track which appears most suitable and serve on each party, a Notice of Proposed Allocation. This will require the parties to file and serve a Directions Questionnaire and if the case is suitable for the fast track or multi track, require the parties to also file proposed directions. The court will send you and the other party involved in the dispute a form called the Directions Questionnaire. Each party must complete and file the questionnaire in the time specified. This will be at least 14 days after it was deemed served by Court. There is no obligation to consult and co-operate when completing but the questionnaire asks specifically whether a copy of the completed form has been sent to the other party. The Court will send to each party a copy of the other party's questionnaire so it is best to be open and honest in answering questions to avoid any further disagreement. The information provided in the Directions Questionnaire will help the court to decide the route that the case will follow. It is therefore important to complete the form very carefully. Read the notes for guidance on the back of the form before you start to complete it. Include all of your contact details such as mobile telephone number and email address, as this will allow the court office to contact you urgently if necessary. Ideally you should make contact with the other party involved in the dispute to discuss the information you are going to provide in the form before returning it to the court. However, if the defendant is not responding to your pre-action communications this should be clearly stated. The Questionnaire must be returned to the court within 14 days of receiving it, or the court may impose a penalty. Even if the other party will not co-operate, you should not let this delay your own completion of the Directions Questionnaire and its return to the court. When returning the Directions Questionnaire you must ensure that the relevant fee (or fee concession/remission application) is enclosed. The fee of £40.00 is payable for claims of more than £1500, for smaller claims no fee is payable. See EX160A How to apply for help with fees. You will be asked if you are trying to settle your dispute before the court hearing and, if so, whether you would like the judge to allow the court case to be put on hold for one month while you attempt to settle. tell the court that no settlement has been reached. If the defendant has not been responding to your pre-action communications and is not co-operating state so and ask respectfully that a stay is not given. If no settlement is reached during this time and both you and the other party involved in the dispute think that more time is needed, you can ask the judge to put the case on hold for a further month. If you ask for more time, you must explain why you need it and who is helping you to settle the dispute. The court will usually only give one further stay of a month. If you cannot settle the dispute after this, the case will continue towards a hearing. The Directions Questionnaire asks whether you would like the court to arrange a mediation appointment to help you to settle the dispute. Mediation is a way of resolving disputes without a court hearing. It is a voluntary process that, with the assistance of an impartial mediator, helps the parties involved to reach an agreement that is acceptable to both sides. If your offer of mediation/other alternative dispute resolution made as part of your pre-action process has been refused state so. What happens when the court receives the Directions Questionnaire? When the court receives the completed Directions Questionnaire from both parties, the judge will look at the information that has been provided. They will then decide how the case should proceed by considering which route it should follow. The judge will take account of what has been said in the Directions Questionnaires and will look specifically at the amount in dispute, the timetable and the evidence needed. All these things will help the judge to decide whether the case should be allocated to the small claims track, the fast track or the multi-track. Most cases are referred to the small claims track where the District Judge will attempt to reach a decision without a hearing (on paper). What if the judge wants more information? Sometimes, the judge may ask for more information before they can reach a decision on allocation. You may receive a court order asking you to send further information to the court in writing. If this happens, you will be sent a form called an Order for Further Information (allocation), which will explain what additional information the judge needs. The form will also tell you the deadline for sending the information to the court. Alternatively you may be asked to attend a hearing to tell the judge more in person. This is called an allocation hearing. If the judge decides to hold an allocation hearing, you and the other party involved will be sent a Notice of Hearing, which will set out the time, date and place of the hearing. In many cases the judge will be able to decide the route the case will follow based on the information provided by the parties in the Directions Questionnaires, so there will be no need for an allocation hearing. How will I know which track has been allocated to? Once the judge has decided, the court will send you and the other party a Notice of Allocation. This sets out which track the claim has been allocated to and what the court expects you to do next. The steps you are both required to take by the court are known as 'directions'. What happens when my case is allocated to the small claims track? When your case is allocated to the small claims track, the court will send you a Notice of Allocation. information about the date and place of the hearing and how long the judge thinks it will take. the person who has made the claim does not show any reasonable grounds for bringing the claim, or the defendant?s defence does not show any reasonable grounds for defending it. 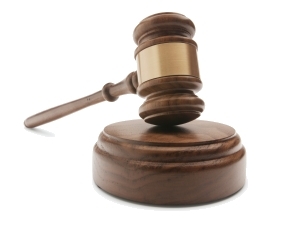 Your Notice of Allocation will tell you if you need to attend a preliminary hearing. The hearing fee depends on the amount you're claiming. Will there always be a hearing? No. If the judge wants to deal with your case without a hearing, you will be sent a Notice of Allocation (no hearing). The notice will tell you that the judge thinks that your case can be dealt without a hearing, using only written evidence. The notice will ask you to tell the court if you object, and will give you a date by which you must reply. If you or the other party objects, your case may be dealt with at a hearing. If you do not reply by the date given, the judge may treat your lack of reply as consent. No. If you don?t want to attend the hearing, you can ask the court to deal with the claim in your absence. You must write a letter to the court, stating your claim number, the date of the hearing and the reason why you will not be attending. You should also ask the court to make a decision on the case in your absence using any written evidence you have provided to them. The letter must arrive at court no later than seven days before the hearing date. You should also send a copy of the letter to the other party in the dispute. Can I take someone to court with me? Yes you can take someone with you. In a supporting role you can take a McKenzie friend. You may be allowed to introduce a McKenzie friend into court to assist you. There is no right to have a McKenzie friend. This right is based on the litigant having reasonable assistance. A McKenzie friend is not entitled to address the Court itself. You should write a letter to the Court when the hearing date is given to give notice to the Court that you would like to have a McKenzie friend present to take notes and give support. In a representive role you can take a Lay Representative. A lay representative or litigant's friend can present your case in court as long as you the claimant is also present. You should write a letter to the Court when the hearing date is given to give notice to the Court that a lay representative will be presenting your case. If you did not give notice then you can inform the court usher on arrival at court as permission is at the discretion of the judge and is usually granted. To prepare for the hearing, you should make sure you do everything you are told to do in the Notice of Allocation. If you have been told to send documents to the other party involved in the dispute and to the court, do not send the originals of these documents. Send copies, but bring the originals with you to the hearing. Remember, you will only have a limited amount of time to put your case to the judge. Make sure that any documents you want to make reference to are in the right order. It is also a good idea to write down the things you want to say. If you do this, you will be less likely to forget something that is important and more likely to explain things in the right order. If a witness or an expert is giving evidence for you at the hearing, make sure they know where the court is and when the hearing will start. Arrange to meet them at the court some time before the hearing is due to start. Can I ask someone else to speak for me at the hearing? Yes. If you do not have a solicitor, you can take someone with you to speak for you. This person is called a ?lay representative? and can be anyone you choose, such as a husband or wife, a relative, a friend or an adviser. Your lay representative cannot go to the hearing without you, unless you have permission from the court. Advice agencies cannot generally provide a lay representative to help you at hearings. If you are thinking of asking an agency, contact them as soon as you know your hearing date. They will tell you whether or not they can help. Some lay representatives may want to be paid for helping you at the hearing and you must make sure you know exactly how much this will be. You will have to pay for a lay representative yourself, even if you win the case. Remember, Lay representatives who charge for helping you may not belong to a professional organisation. This means that if you are not satisfied with their help, there is nobody you can complain to. Can I use an expert to help me prove my claim? If you want to use an expert, you should say so in the Directions Questionnaire. You must say what the expert?s evidence will deal with and whether you would like the expert to give evidence in a written report, orally at the hearing, or both. If at all possible, both parties should use the same expert as this will save you costs. Your Notice of Allocation will tell you if you have been given permission to use an expert. It will also tell you when you should send a copy of the expert?s report to the court and to the other party involved in the dispute. Small claims hearings can be held in a courtroom or often in the judge?s room (sometimes called the judge?s chambers) with the parties sitting around a table. The hearings are generally less formal and held in public. This means that members of the public can attend and hear the case. where the court considers that it is necessary in the interests of justice. The hearing is normally recorded. The judge will speak first, to check who you are and whether you are the claimant or the defendant. When responding to the judge, you should address a male judge as 'Sir' and a female judge as 'Madam'. The judge will then invite the claimant and the defendant to be seated. The judge may then explain how the hearing will be conducted. This may vary from case to case. The judge may ask the claimant to speak first to set out any reason or evidence to support their claim. Then the defendant will be given an opportunity to ask the claimant about the statement and the evidence. Each party will then be given an opportunity to ask other questions. At the end of the hearing the judge will tell you the decision the court has reached (the judgment) and give brief reasons for it. After the hearing, you and the other party involved in the dispute will be sent a copy of the judgment. It will set out the judge?s decision and any order for costs that was made. If the claim was for an amount of money, the order will include the arrangement for payment. If you had told the court that you would not be attending the hearing, you will also get brief reasons for the decision. If the other party has been ordered to pay you a sum of money, but does not pay, you should remember that the court will not take any action unless you ask it to. This is called 'enforcing your judgment'. You may have to pay a fee for this. If you lose your case and you want to appeal against the judge's decision, you will need to get permission to do so. If you attended the hearing at which the decision was made, you can ask the judge for permission at the end of the hearing. You must have proper grounds and cannot appeal because you think the judge's decision is wrong. If you decide you want to appeal, you must act quickly against the court's decision as the time within which you must issue your appeal is limited. What happens after I issue my claim form?